Lou Loves Beauty: Most used Make-Up Brushes..
Real Techniques Powder Brush - is what I use for, you guessed it... powder! I use this with my all over face powders like my Rimmel Stay Matte or my Hourglass Ambient Lighting powder. I find it picks up just the right amount of product, distributing the product evenly and the soft bristles mean it doesn't disrupt my foundation too much as well. Real Techniques Stippling Brush - this brush is fantastic to use with cream blushes and this is manly what I use it for. I find the flat top is perfect to picking up just the right amount of product and it can be applied lightly in a stippling motion or buffed in for a more sheer look. Real Techniques Blush Brush - This isn't just a blush brush, I use it for of course blushes but also for spot powdering, bronzer and the pointed end makes it a ideal for light contouring. A good all rounder brush to have. Real Techniques Contour Brush - This is another brush which I use in different ways. The first is how its supposed to be used, as a contour brush which it does really well, the brush neatly snuggles into the hollows of your cheeks perfectly delivering just the right amount of product and blending it out seamlessly. The other use for this brush is to use it to set my under-eye concealer, the brush is the perfect size for this and doesn't hold on to too much powder, avoiding over loading the area. Nanshy Large Shader Brush* - I use this to apply eyeshadow under my eyes. It doesn't pick up too much product and blends it in really easily and it the perfect shape and size for nestling into the lower lash line. Mac 239 - I use this to apply my eyeshadow onto my lids. Its great at packing on the colour for both pressed and loose eyeshadows. I find I get less fall out when using this, which is why I love it so much. Nanshy Blending Brush* - I use this to blend eyeshadow through my crease to create a softer transition between the colours. 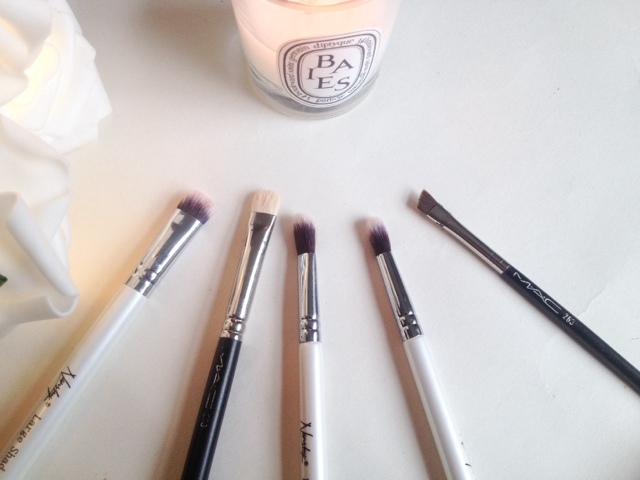 A must have brush for blending out a smokey eye. Nanshy Crease Brush* - This brush is perfect for creating definition around the crease and socket line of your eye. 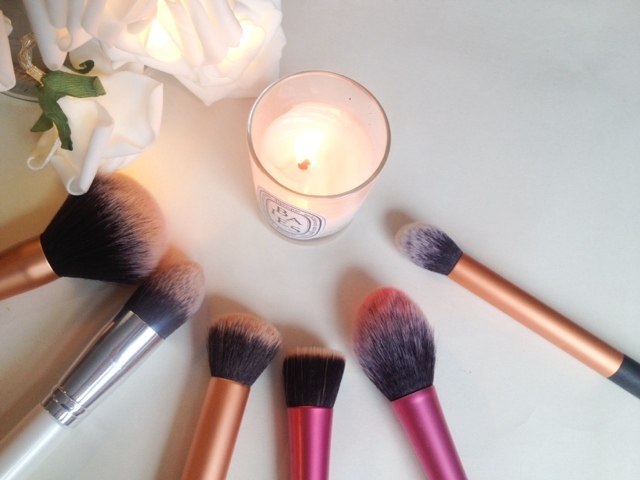 The brush is soft but firm, essential for a defined crease. Mac 263 - I use this for my eyebrows, its the perfect shape. I haven't used it to apply gel eyeliner but I'm sure it would work just as good for that also. 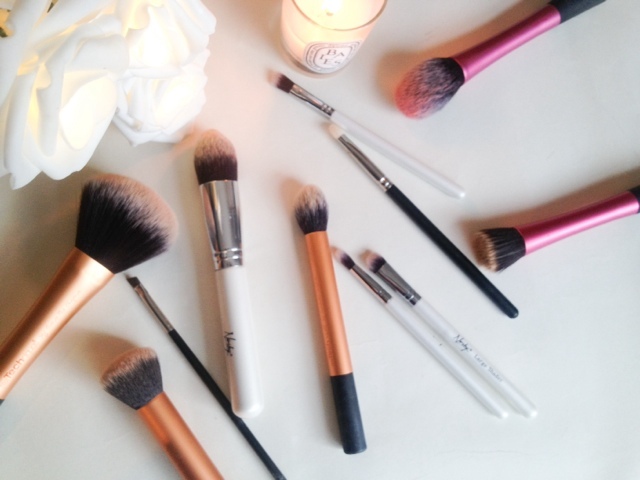 What are your favourite brushes to use? Any more suggestions?